Be the first to share your favorite memory, photo or story of C. Lee. This memorial page is dedicated for family, friends and future generations to celebrate the life of their loved one. C. Lee Hendryx age 68, of Columbiaville, formerly of Sterling Heights, died suddenly on November 8th, 2018. Lee was born on March 1st, 1950 to Clarence Sr. and Vadus Hendryx . Lee graduated from Royal Oak Dondero High School in 1968. Lee met Helen, his high school sweetheart and they were married in 1972. 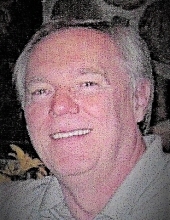 Lee graduated from Macomb Community College and became a mechanical Engineer, his career spanned over 45 years. He worked for a number of engineering firms continuing always to improve his skill levels. Lee was a talented Project Manager and had incredible problem solving skills. Lee enjoyed many hobbies. He was an avid boater, collected antique cameras and was “all things technology”. Lee was always ready to lend a hand to help others. If family or friends were in a bind, he was “the guy to call”. Lee was involved in many volunteer activities. He was a volunteer Police Reserve Officer along with working as a volunteer Probation Officer for the City of Madison Heights. Lee was an active member of Trinity United Methodist Church in Lapeer, where he was a member of the Men’s Club. Lee was deeply loved by his many nieces and nephews . He was a kind and helpful Uncle who spent many hours with his nieces and nephews teaching them boating skills, helping with many school projects and being an attentive listener. Lee was man of great integrity who was always willing to support and assist and help when needed. He will be deeply missed by all who knew him. Mr. Hendryx is survived by his loving wife Helen Hendryx; several nieces and nephews; and many other dear family and friends. He was preceded in death by his parents. "Email Address" would like to share the life celebration of C. Lee Hendryx. Click on the "link" to go to share a favorite memory or leave a condolence message for the family.